In November 2007, this Association was founded in Perth to support the families of children and adults with Angelman Syndrome and to raise awareness of this rare genetic condition which affects 1 in about 20,000 births. ASA of WA’s mission is to support, inform, educate, network, promote research and advocate for people with Angelman Syndrome and their families. We foster mentoring and peer support among our families, as the syndrome presents a number of challenges both for people with Angelman Syndrome and also their caregivers. establish support systems for people with Angelman Syndrome, their families and other associated people. source, provide and support advocacy on behalf of people with Angelman Syndrome, their families and other associated people. gather and disseminate information about Angelman Syndrome and related matters for the benefit of families of people with Angelman Syndrome and other interested organisations and individuals. educate the families of people with Angelman Syndrome, the medical and educational communities, interested organisations and individuals, and the general public about the diagnosis, treatment and management of Angelman Syndrome. schedule, co-ordinate and encourage social functions to engender the networking of families and promote communication, information and knowledge transfer within the Angelman Syndrome community. foster research activities on the diagnosis, treatment and management of Angelman Syndrome including the study of genetic imprinting, hypopigmentation, appropriate drug therapy, hyperactivity, sleep disorders, epilepsy, family stress, behavioural support, coping mechanisms and communication training and options for non-verbal people and those with complex communication needs. raise funds for the promotion and attainment of the above objectives. We strive to increase awareness of this rare disorder among the general community, and amongst medical and health professionals to help diagnose and support the many misdiagnosed or not yet diagnosed with Angelman Syndrome. Welcome to our website. Our new website has been developed to help provide information and support to families. 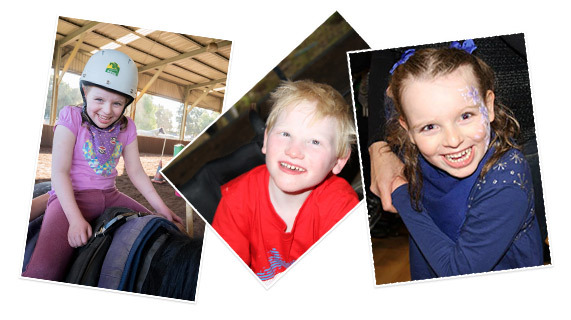 Angelman Syndrome Association of Western Australia, supporting, informing and advocating for Angelman Syndrome families. ASA of WA is an Incorporated Association, an Australian Health Promotion Charity with DGR status (so donations are tax deductible) and holds a WA Charitable Collections Licence.